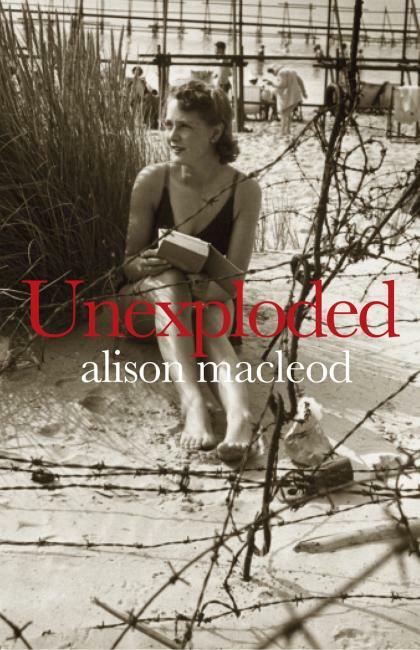 My fourth novel from the Man Booker Prize longlist is Alison MacLeod’s Unexploded. Now I must confess to a general fascination with fiction set in the Home Front during WWII, but it is mostly nostalgic, or clichéd, or poorly written, or all three. It is also a subject that has been done to death, so a novel needs to be beautifully written and offer something fresh by way of both plot and approach in order to stand out in this area (such as Sarah Waters’ novel The Night Watch). 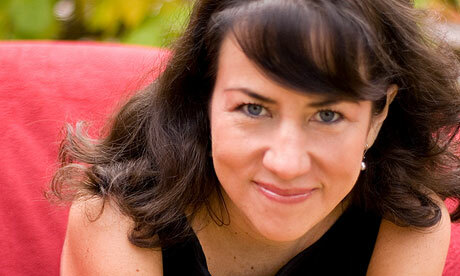 I wanted to like Unexploded so much that I was afraid I would be disappointed – but I wasn’t. Unexploded is set in Brighton in the early years of the war, and focuses on the lives of Evelyn Beaumont, her husband Geoffrey, a banker, and her eight-year-old son, Philip. After the fall of Paris, Brighton is expecting German invasion any day, and amid the heat and tension of the summer of 1940, MacLeod perfectly captures the simmering, unexploded problems of the Beaumonts’ marriage. Later, as winter comes, the weather again affects and reflects the novel’s events in a literary style which I find very satisfying. In many ways this novel couples the relationship of Geoffrey and Evelyn with the war itself, with the central metaphor of what is ‘unexploded’ relating to the bombs, the marriage and several other issues besides – some of which do explode during the novel, and some of which don’t. This could be trite, but in this novel it isn’t. MacLeod handles the personal and international crises deftly, and the tension of both situations reaches a crisis when Evelyn meets a troubled German Jew, Otto, in the Camp for which her husband has become responsible. Perhaps Otto serves too much as an escape route for Evelyn rather than a character in his own right, but one feels a great deal of sympathy for him, and for the terrible experiences he has had; he is a sensitively-drawn character whose existence also emphasises the anti-Semitic feeling that was also rife in Britain at the time. Characters are often revealed to be less pleasant than one expects, and a pulsing vein of xenophobia underlies much of the characters’ motivations. This is a tightly-structured novel, both in terms of plot and also the way it is written – lyrical and often beautiful, some of the things described are also terrible, such as Otto’s experiences at Sachsenhausen, and a memorable description of what happens when a house takes a direct hit from a bomb. 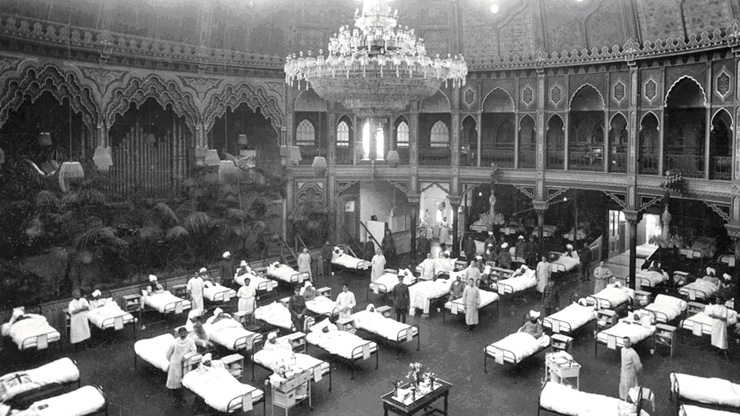 The atmosphere of fear is one which is antithetical to the cosy nostalgia so many novels display towards this period – this feels real, visceral and frightening. Nothing appears in the novel without a reason, leaving me with the feeling that MacLeod is a novelist one can trust – there are no red herrings, no pointless encounters, objects or descriptions – it is all directed, focused and exciting. The novel’s lyricism, occasionally verging on stream-of-consciousness, owes something to Virginia Woolf, who makes a cameo appearance in the novel. Evelyn is a keen reader of Woolf, and in a moment of defiance she slips away one afternoon to hear Woolf lecture. Though we only hear parts of it through Evelyn, reducing it to snippets which reverberate in her mind about truth to oneself, the echoes are convincing and the references to Woolf significant. There is, perhaps, something Mrs Dalloway-esque about Evelyn, the housewife trying to conform as she looks after her son and the house, battling with her emotions and searching for meaning. The myths of heroism, of neighbourliness and stoicism which began during the war and have been perpetuated since, are exploded in Unexploded. Philip’s friend Orson has a brother who is fighting, Hal, the hero, who turns out to be anything but a hero, while the persecuted Otto is not an uncomplicatedly sympathetic character. Nor is Geoffrey quite the good but dull man he first seems, and it is this tendency towards mining the depths of characters, combined with ironic quoting of the edicts of the day which subverts any nostalgic glow into something much more genuine and believable. There is a symmetry to the plot which feels unforced, and a journey of discovery of both the past and the present which concludes in an open-ended way without leaving the reader unsatisfied. Previous What is Gothic? And what isn’t? Unexploded sounds riveting. I, too, have a fascination with the Home Front, the reality and the fiction. This book is definitely going on my wish list. I’m sure you’ll enjoy it, in that case! Let me know what you think of it. Alas, I shall have to wait until it’s in paperback as my disabling condition prevents me being able to hold a hardback and paperbacks are not ideal and I can’t afford a Kindle and so on and so forth! Oh dear, that sounds difficult. Well, you have a treat in store when you get it!